You might not prefer to call him a leader of thought, it depends on the content of that thought; you might not admit his level of influence, it still does not change a thing. The intimidating fact is that Nnamdi Kanu, leader of the Indigenous People Of Biafra, IPOB, has, through public acceptability, assumed the role of the leader of his people, mouthpiece of the oppressed and mind of the forgotten. Given Nnamdi Kanu's fearless approach and unfeigned resolve to restore Biafra, this leadership status has become a bitter pill for the Nigerian government to swallow. More so, the extent at which the governors of Imo, Abia, Enugwu, Anambara and Ebonyi states have lost grip of their people is the most worrisome 'IPOB factor' the Nigerian government is currently faced with. This loss of grip can be traced to the state government's failure to address the issues of injustice, nepotism and marginalisation that the region has suffered from 1970 (when it was annexed back to Nigeria) till date. In order to be loyal to the Britain-controlled-Nigerian-government, the south-eastern state governors have preferred to be willing tools in the hands of the oppressive (and repressive) Nigerian government, than seek for justice and equity that would benefit their people. From one pogrom to another, unprovoked killings, the politics of second Niger bridge, 'born to ruin' (usually mistaken for 'born to rule') mentality, Fulani herdsmen killings, quota system introduction, abandoned federal projects, inefficient Ohanaeze group, proposed Fulani settlements (disguised as grazing bill) etc, the people in the south-east region have realized that their future can no longer be trusted on some group of men who are more focused on enriching themselves than the people's welfare and community development. Governor Ifeanyi Ugwuanyi (Enugwu) preferred to cry over the Fulani massacre than fish out the perpetrators; Governor Willie Obiano (Anambara) visited a burnt mosque at Onitsha but remained silent over the 30th May 2016 Nkpor massacre; Alhaji Rochas Usman Okorocha (Imo) would rather erect mosques in every community in Imo state than build the death-trap state roads; Governor Okezie Ikpeazu (Abia) was silent over the February 2016 school prayer ground massacre while Ayodele Fayose blasted the federal government over such atrocity. Needless to mention the Ebonyi state governor, his cowardice is monumental. It is on this note that the indigenes of the south-east region and Biafrans at large resolved to obey and be loyal to Nnamdi Kanu, whom they have tested (during his period of incarceration by the Nigerian government) and trusted. In Nnamdi Kanu, Biafrans see a man who is not ready to compromise on the Biafra restoration project -which to Biafrans, mean freedom from oppression, an end to tribal resentments, modern day slavery, Islamization, the imposition of sharia law, economic deprivations, endangered identity, moral decay and paedophilia. 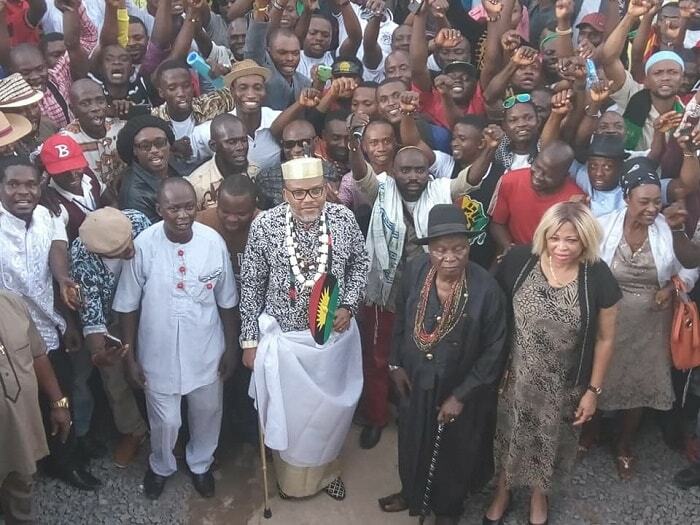 Nnamdi Kanu's public acceptability became more convincing to the world during the 30th May Sit-At-Home event. Economic activities were grounded at will, banks were closed, schools were under lock and key, airlines did not operate -all these were against the advice of the state governors who ordered the indigenes to ignore Nnamdi Kanu and his orders. 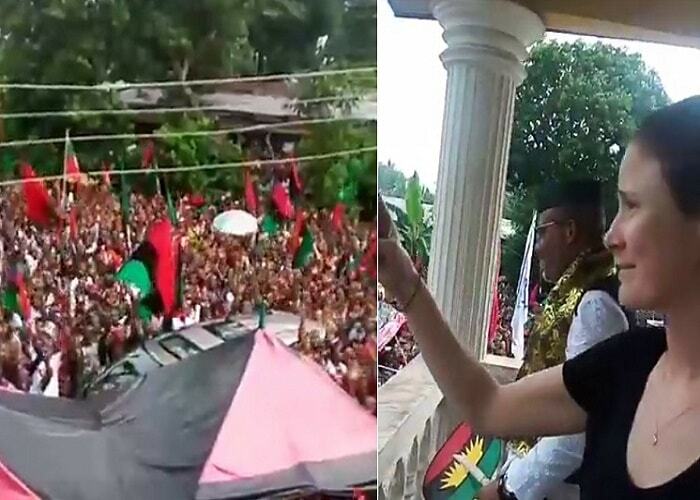 Also, as against the Nigerian and British media propaganda that has continued to undermine the public acceptability of Nnamdi Kanu in Biafra, the Sit-At-Home event erased all doubts and proved that Nnamdi Kanu's mind is the mind of the people, his words are the words of the people and his will represent the will of Biafrans. The Sit-At-Home event sent a strong message to the governors and is an indication that the proposed boycott of elections in Biafra is a reality that cannot be stopped by mere threats, bullets and prison bars. The governors have lost the support of the people, they have lost control over the happenings in their states; and most unfortunately, they have lost the trust of their people. Indeed, Nnamdi Kanu has rendered the south east governors politically irrelevant in Biafra.